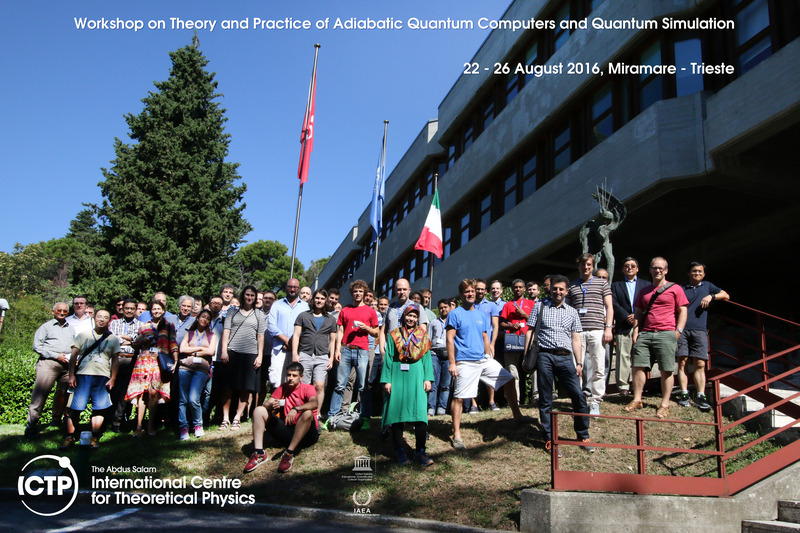 The Abdus Salam International Centre for Theoretical Physics (ICTP), Trieste, Italy, is organizing a Workshop on Theory and Practice of Adiabatic Quantum Computers and Quantum Simulation, to be held at ICTP, Trieste, Italy, from 22 to 26 August 2016.We acknowledge the support of the ICAM Branch Contribution Fund. The aim of this interdisciplinary workshop is to gather together physicists and computer scientists to discuss various outstanding open issues related to the potential efficiency of adiabatic quantum computers, quantum annealers, and quantum simulators. In particular, the following questions will be addressed: under which conditions can adiabatic quantum computers outperform classical devices, providing a speed-up for some computational tasks? How do we define, detect and quantify quantum speed-up? Can we use classical computers to test quantum annealers? Which physical processes limit the efficiency of adiabatic quantum computers? This workshop is addressed to researchers with interest and expertise in the foundations of quantum computing, in the theory and computational methods for disordered quantum systems, and in machine learning methods. The program will include oral presentations given by invited speakers and short talks selected from contributed Abstracts. All applicants are invited to submit an Abstract for a poster presentation and for a flash talk. A limited number of contributed Abstracts will be selected by the organizing committee for a short oral presentation. Abstracts should be submitted with the on-line application form in a PDF file, following the format of the example available on-line. A LaTeX template is also provided. Please indicate in the "Comments" field in the application form if you are willing to present a poster and/or a short talk (if selected).